Human beings have autopilots when it comes to doing what you really want to do. And so I was able to continue making photos, albeit a bit slower than before. 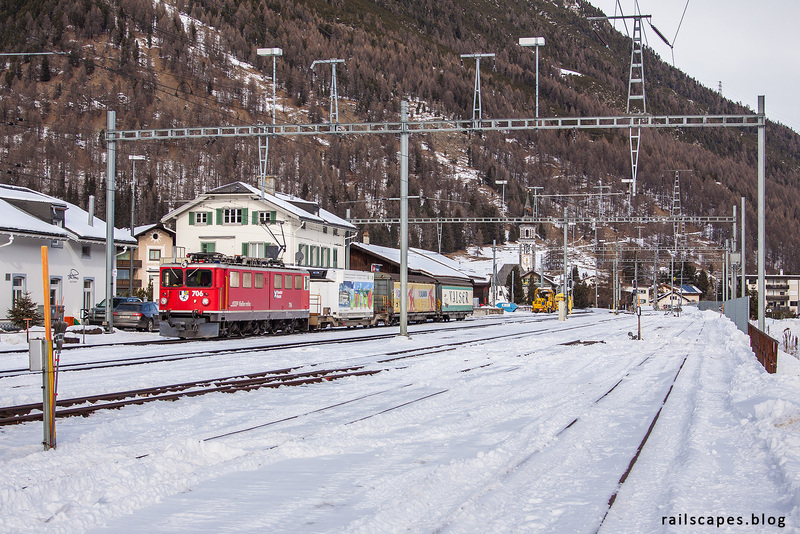 We were expecting a freight train to Samedan and decided to wait for it at Bever station. 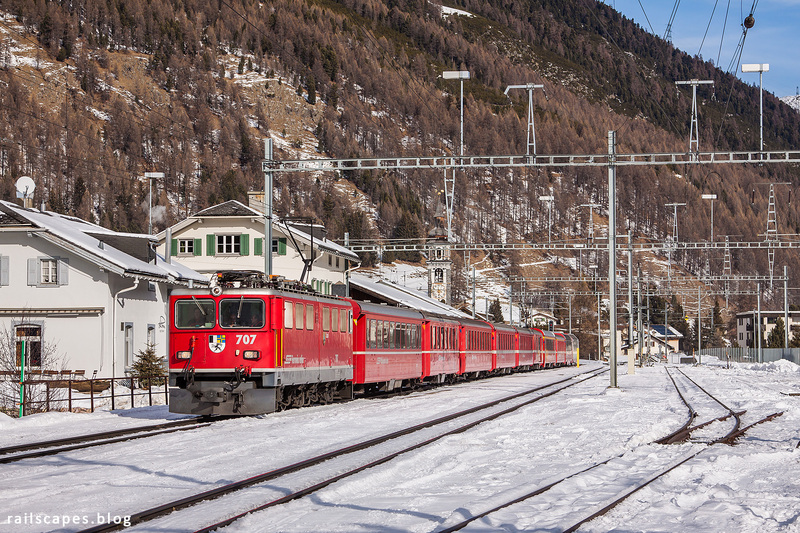 We also knew from yesterday’s observations that the next train from Chur could be hauled by a mighty Ge6/6 II engine. Our memory served us well, as in warm sunlight we saw number 707 of the aforementioned class enter the station.